Gus and I have been in business for ourselves since 1979 and believe me, since then I have not been organized or too sane! Wow.......to think it's time for our 50th......it's staggering......anyway I have another grandson, George married Katie Stanbery August 28, 2010 and had Will on October 7th, 2011. Lynn and George work for us at GPA and Mandie has re- located to LA and is working for Vince, a contemporary designer for women and men. I am looking forward to our reunion and seeing as many of you guys as possible! I'll always remember being in chorus and breaking into "Get a Job" or "Tossin and Turnin" whenever Miss Grabel would turn her back.... Latin classes with Mr Hicks...... "Wild Bill" Revis and the films every Friday....... riding the Pep Squad bus to games...... GAA overnights in the gym.... etc, etc, etc........ we had lots of fun! JoAnn Lambros Perdikakis has a birthday today. 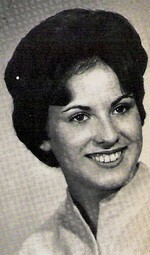 JoAnn Lambros Perdikakis updated profile. View. JoAnn Lambros Perdikakis posted a message. Celebrating our 40th anniversary in the Bahamas!!!! This is Gus, my grandson, as we were driving back to Athens after visiting my Dad's village in the Peloponnsian Mts. in Greece. Gus & I, in Santa Monica around the 4th of July.